This was a poorly made game in a few hours, for a GamesPlusJam Jam. 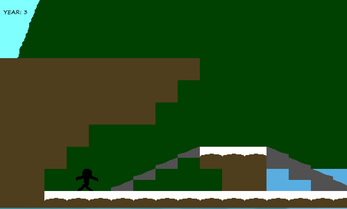 The theme was time and I had this idea where the envinroment would change as you change the time, but, because of my lack of knowledge and bad level design, I had no idea what to do with it. So I am putting it up here if anyone wants to improve this idea of mine (in their own, better engine ofcourse). Feel free to write anything in the comments. You just download the file and install it. 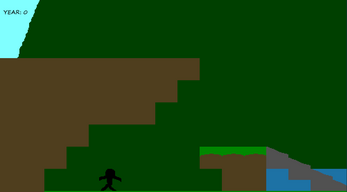 It was made in game maker, which you will see.